Home Cast iron cookware Why buy Le Creuset, it’s expensive. Is it really worth it? Why buy Le Creuset cookware? A common question “Why buy Le Creuset cookware?” The envy of foodies. Industry professionals to home cooks, they all seem love Le Creuset. However is it any good? Why is Le Creuset expensive? Why should you trust my advice and research? I’m a cast-iron and traditional cookery enthusiast. You’re welcome to search through the site. All those vintage pans you see, yeah of there’s a lot of them. If you want to know more about cast iron you’ve come to the right place. I have Le Creuset cast iron and stoneware products as well as products from other companies. This is a hobby site which focuses on the enjoyment of traditional cookery. As mentioned Boonie hicks is a hobby site not a professional marketing site. Each article takes me around 3 weekends to write. I hope you find the article useful. Boonie Hicks tip. Which size Dutch oven is best? Do you want to know which size Dutch oven is best? Then you may want to consider the Le Creuset 5 1/2 quart round Dutch oven. You can see the prices and colours on Amazon through the link if you’re interested. Why the 5 1/2 quart oven? It’s probably the most popular and versatile size, if you want to use your oven daily. Bigger sizes are great but they start getting rather weighty. Is Le Creuset worth it? We think so, we’ll explain why. It is a good question to ask the high-end ceramic and enameled products are certainly not the cheapest on the market. You’ll use your Le Creuset more (Le Creuset owners really enjoy their cookware). The quality, whether buying for yourself or as a gift you know it doesn’t get much better than Le Creuset. You will love how it looks. Many owners proudly display their cookware on the stovetop or on the kitchen bench. Unlike other luxury brands Le Creuset is made to be used daily. Le Creuset is in the same league with other high quality and well respected cookware brands such as: Staub, Emile Henry and Lodge Manufacturing. The products from these cookware brands can last generations. It is unsurprising that they are often family heirlooms that can be passed one generation to the next. There’s no denying it. Le Creuset cookware looks great in any kitchen. 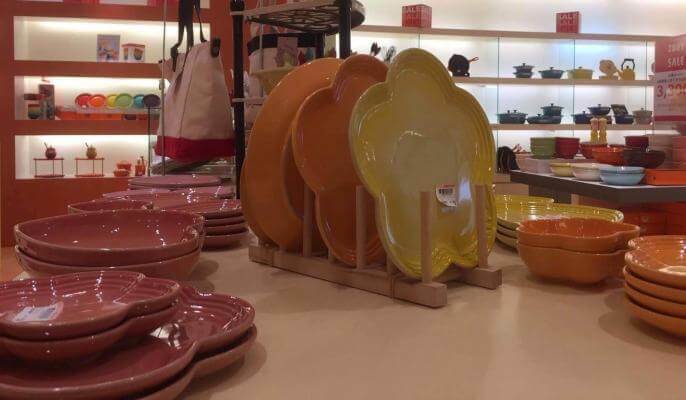 If you are a foodie or an avid cook, you can easily understand why people are drawn to Le Creuset. If you’re a home cook, cookware such as the Le Creuset French oven are the pride of the kitchen. They are the hero in both the traditional and contemporary kitchens. They are also highly decorative and many enjoy displaying their Le Creuset. This is factor is often missing in low-end cookware. The culinary revolution of Le Creuset cookware was inspired by a casting expert by the name of Armand Desaegher. He joined forces with an enameler named Octave Aubecq in 1925. It all started with the Le Creuset foundry in beautiful Fresnoy le Grand, France. To this day, Le Creuset still makes its world-renowned cast iron pots from this base. Together they managed to produce an innovative enameled French oven called the “cocotte” in French. This cocotte combined the heating and durability properties of cast iron with the dazzling beauty of enamel which the French are world renowned for their expertise. Armand Desaegher and Octave Aubecq were fascinated by the liquefied iron as it cooled in their sand molds. Aubecq also came up with the idea of adding a rich orange coloured glaze. This signature colour would set apart the Le Creuset cocotte from other brands that already existed in the market. Why buy Le Creuset cookware? Well there’s good reason it has been operational for more than 100 years and is as popular as ever. The cookware company also proudly produces some of the best quality stoneware and stainless steel cookware on the market. Boonie Hicks tip. Le Creuset is famous for cast-iron however Le Creuset baking dishes and mugs are really popular and make great gifts. If you want a little something for yourself or a gift then the Le Creuset mugs and 1 quart oval gratin dish are great choices. Although they are not manufactured in France they are still Le Creuset products and therefore maintain a very high standard quality. The Le Creuset 12oz mugs are a great first Le Creuset choice or as gifts. They have warm homely hues and have a rustic charm which everyone loves. Be warned you may have guests inviting themselves over for a cup of coffee more regularly. Le Creuset is expensive is it really worth it? You know it’s good when owners love their cookware. Authenticity is often the main reason why Le Creuset is so popular. People see Le Creuset cookware and they know it’s a quality brand they can use and trust. Why buy Le Creuset cookware? Their cast-iron cookware is manufactured strictly in France under the highest quality control standards. Le Creuset is a respected and well-known international brand that has appeal and is trendy for all ages. 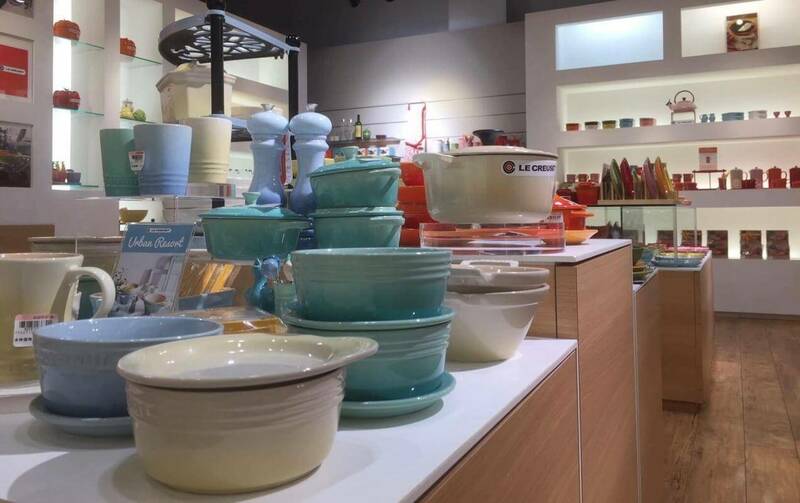 Le Creuset has more than 100 retail stores distributed in various parts of the world. Aside from cookware, it also produces high-end textiles, as well as kitchen and wine accessories. Despite the high price of producing cast-iron cookware in France. Le Creuset has maintained its foundry in Fresnoy le Grand since the company first started in 1925. Instead of shifting its production to cheaper locations like China, Le Creuset has remained loyal to its community. It bears the cost of producing high-end goods in France. Because of Le Creuset authentic production standards and techniques, it has become the gold standard in the production of Dutch ovens. Its signature flame orange hue is still as popular with consumers today as it has ever been. Even though the design of the pot has not changed since its advent. Le Creuset cast-iron cookware is still sort after despite its considerable expense. Why buy Le Creuset cookware? Just looks at those pretty colours. The cookware is available in a range of different colours that are unique to Le Creuset products. Colours such as the signature flame orange are vibrant and they add a decorative quality to the cookware. Colour is important because it adds an element of vibrancy to the table or kitchen. Enameled cookware has a lot of benefits. In your Le Creuset cookware you can cook a variety of different meals, even those that are acidic. The cookware’s enamel remains nonreactive. Construction materials such as un-coated aluminum can cause discoloration to occur as a result of alkaline acidic or sulfurous foods. Food cooked in low-end cookware can sometimes taste metallic when cooking high acidic food. The enamel that is used in Le Creuset products does not absorb any flavors of food or any odors. Enameled stoneware and cast-iron does not chip or stain easily. All Le Creuset cookware have design features that help the user. All cookware that is produced by Le Creuset is designed with the user’s comfort in mind. This means that you will love how easy is to use. For example the black knobs are extremely to resistant to heat. All the features of Le Creuset cookware is incredibly sturdy. People that prefer cooking with cast iron and stoneware understand the need for comfortable features when cooking. These pots after all tend to get really hot. 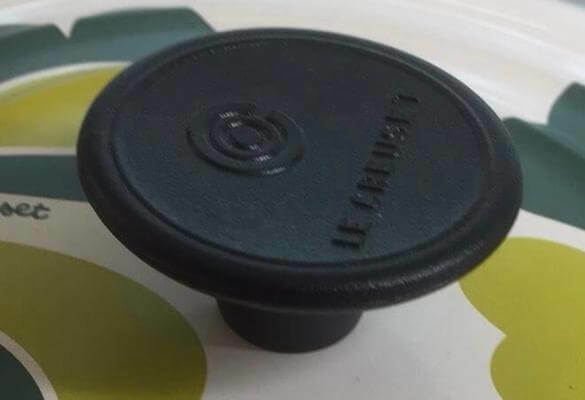 Some Le Creuset cocottes have black stay-cool knobs that make it easy to handle. The lid can be removed from the pot without getting burnt. The phenolic knobs can withstand high temperatures (as high as 400 degrees F). Are Le Creuset Dutch ovens safe to use on stove tops? All Le Creuset cast iron cookware can be used safely on a stove top or an oven. This versatile feature is perfect for a mix of different cooking scenarios. For instance, braising a piece of meat on the stove top, can be easily transferred to the oven. Le Creuset enameled cast iron pieces can also tolerate high heat of up to 350 degrees F.
Looking for another reason? Why buy Le Creuset cookware? Well its sure is easy to clean. Cleaning is a major consideration for customers deciding to purchase cookware. 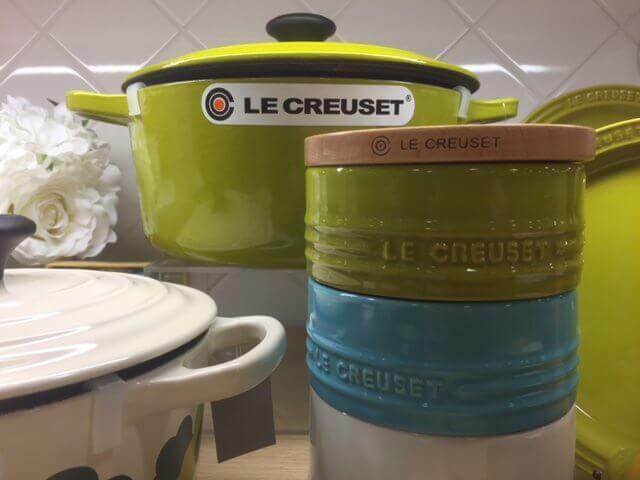 Why buy Le Creuset cookware?” read on I have good news for you. Le Creuset cast-iron and stoneware cookware is easy to clean and maintain. All you need is a soft cleaning sponge or dish cloth and mild soap. Since the grime falls right off upon cleaning, you do not need to scrub the exterior and interior in most cases anyway. The surfaces of Le Creuset cast iron and ceramic products are more non-stick than stainless steel which makes the cleaning process easy and straightforward. Le Creuset products retain heat evenly. The Le Creuset French oven is made from cast iron, which ensures that heat is maintained and distributed evenly. This feature is great for cooking techniques such as poaching, simmering, browning and braising. Additionally, cast-iron pots can be stored in refrigerators if you need to store any leftovers. Quality control and high sourcing standards. Since Le Creuset has been in the game for more than 100 years, consumers can rely on the high quality. 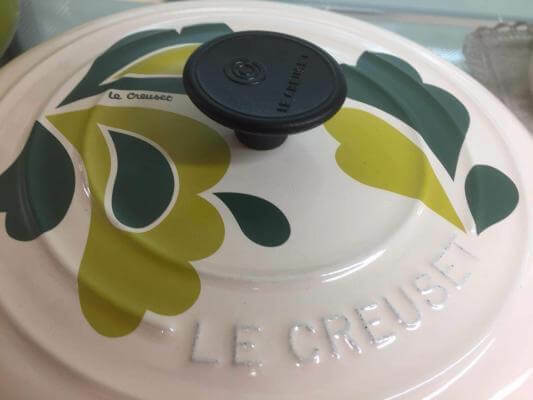 Unlike other brands, Le Creuset sources high-quality materials, which include selected recycled iron, steel, and pure pig iron. This means that the end product can last for years to come upon purchase. Why Buy Le Creuset vs. cheap cookware brands. When you start shopping for cookware, you will soon find that you will come across a broad range of prices. The cookware may look similar imitating Le Creuset cookware. Depending on how much you want to spend, there are clear differences between Le Creuset and low-end inexpensive brands. The type of material used to produce cookware definitely has an impact on how much the product costs. 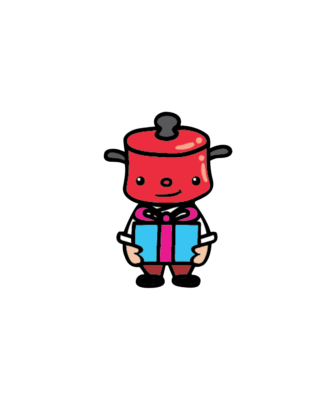 For example, a cast iron pot will cost more than an aluminum or stainless steel pot. This is owing to the properties and characteristics of the construction and materials. Le Creuset is popular for having superior thermal heat mass, which is why professionals prefer the high-end brand. Unlike low-end cookware, Le Creuset provides precise heating results without the possibility of any hotspots. Thinner gauge materials that are used on inexpensive cookware do not hold heat evenly and can also dent or warp. The right choice of materials also means that the cookware reacts quicker and more efficiently to changes in temperature. Another difference between Le Creuset and other cheap brands is the quality of construction. Sure, there are numerous pots and pans that are available for less than 100 dollars. However, after using them for six months, these pots and pans tend to develop quality issues. Over time, cheaper cookware may also warp as a result of sudden thermal changes, which reduces the effectiveness and efficiency. Le Creuset sets will maintain their aesthetic appeal for generations. Certain cookware construction may react negatively with particular types of food. For instance, aluminum tends to react with tomato based dishes and acidic foods. This implies food can actually react with the components used for the production process, which can taint food. Expensive cookware such as Le Creuset beats inexpensive cookware because of the quality of construction. Le Creuset conducts thorough research and is abreast of the trends and changes in the industry. Which is why it incorporates different elements and production techniques that deliver optimal cooking results. Another answer to the question Why buy Le Creuset cookware is cheap cookware sets are mainly made with a single thin layer of glaze or metal. A single layer of glaze can chip easily while a single metal layer such as stainless steel is a poor conductor of heat. Which can cause hot spots in the cookware. So why buy Le Creuset cookware? Why is Le Creuset so expensive is it any good? Based on all the above reasons, “Why buy Le Creuset cookware?” We think it’s evident that a Le Creuset purchase is definitely worth it. 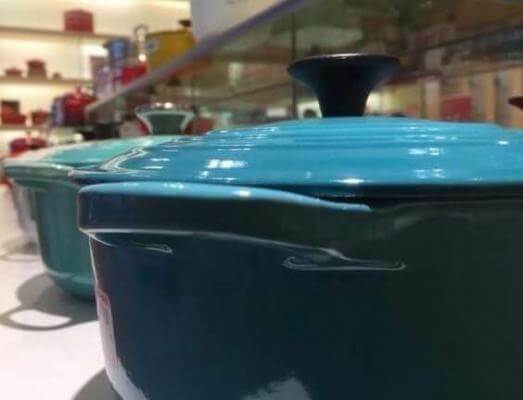 The price that you pay for high-end Le Creuset goods allows you to enjoy the unrivaled quality and better construction. Foodies love the brand, it is extremely well respected and most importantly valued for its cooking performance. This brand is synonymous with kitchen royalty because of the the features mentioned above. Le Creuset customers are usually extremely happy with the quality of the product. When shopping, your budget and the price point of various cookware sets should remain a priority. However it should not be the sole priority that affects your decision-making process. Le Creuset cookware is great option if you’re looking to treat yourself with some new cookware. 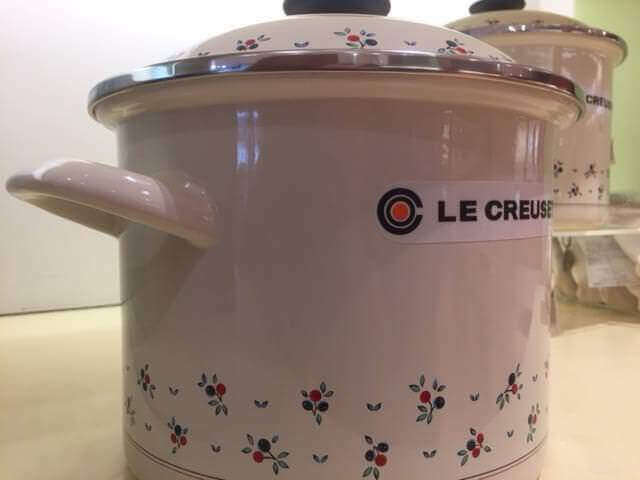 Why buy Le Cresuet cookware? We think Le Creuset worth the extra cost. How about you? Have you enjoyed the article? If you’re interested here’s some more great articles on cast-iron. Alternatively if we have helped you learn more about Le Creuset you may want to check the prices for the 5 1/2 quart Dutch oven on Amazon. Why buy Le Creuset?” “Is Le Creuset worth it?” We hope we have answerd your question. 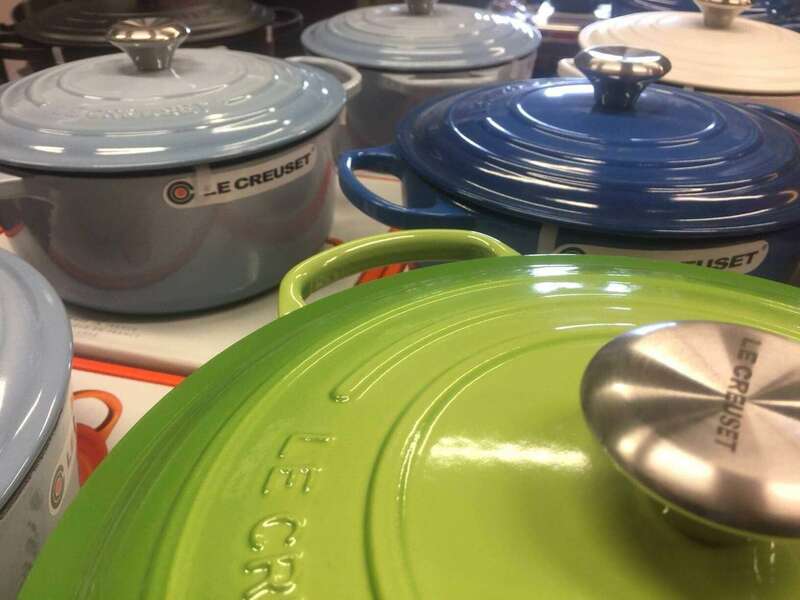 At Boonie Hicks we highly recommend Le Cresuet cookware. The cookware is a joy to use and perfect in any kitchen. If you are thinking of buying a new piece of cookware Le Creuset we think it would make a wonderful addition to any kitchen. Investing in Le Creuset cookware is to get a product that delivers value for your money by lasting years. It also happens to be really beautiful. Le Creuset definitely does not disappoint. Previous articleFavorite Piqua Ware: Favorite Stove and Range Co. vintage cast iron. 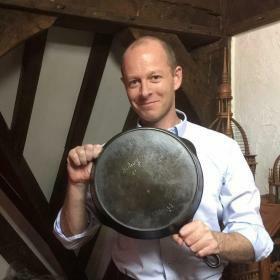 Next articleLodge Manufacturing: Why is their cast-iron loved around the world?